PHOENIX – The president’s plan to use executive action to help an additional 4 million or so unauthorized immigrants get work permits has its share of opponents. Among its critics is the union representing some 18,000 Border Patrol agents, the National Border Patrol Council. Agent Chris Cabrera is with the union in Texas’ Rio Grande Valley, which is the busiest part of the border. But a fight in Congress over the president’s immigration executive actions is now impacting Cabrera and his colleagues’ wallets. 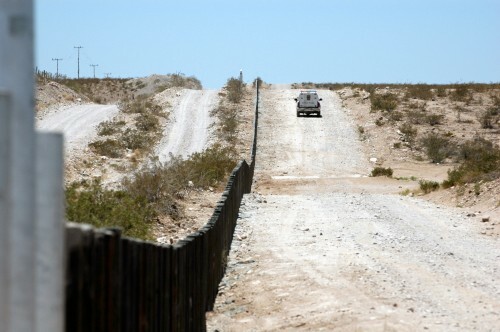 The Department of Homeland Security, which includes Border Patrol, will run out of funding on Friday. House Republicans’ funding measure for DHS adds on a provision to end the president’s immigration programs. But Democrats won’t agree to that. If the two sides can’t find common ground before Friday at midnight, DHS will partially shut down. Some staff will be furloughed and essential staff like Border Patrol agents will have their paychecks delayed. “We are caught in the middle of this game of political football,” Cabrera said. This entry was posted in KRTS News and tagged Border Patrol, Border Security, Congress, Customs and Border Protection, DHS Funding, Fronteras Desk, government, Homeland Security, National Security. Bookmark the permalink.